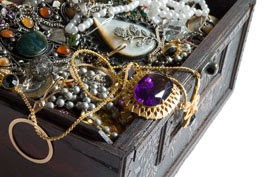 Jewelries are valuable investments; the reason why when travelling some jewelry collectors opt to bring their collections instead of leaving them behind especially when going overseas. If you’re a jewelry collector and have a plan to travel this weekend while bringing your jewelries with you, then here are some helpful tips on how you should travel with your jewelries on pack. • Choose wisely. Pack light and take only the jewelry you'll wear while travelling at your destination. • Make a list of all the jewelry you’ll take with you. Make two copies of this list then take one copy with you and store it separately from your jewelry. While leave the other copy at home. This will help you if you have jewelry insurance and some piece got lost during your travel. • Wear it or stow it in your carry-on bag. If you wear it, take extra care by slipping a pendant inside a sweater or turning your ring so only the band shows. • Put your jewelry in a favorite bag you’ll carry while traveling. Don’t leave your jewelry in an unattended car or suitcase. Carry it personally. • Make sure to insure your personal jewelry against loss, damage, theft and mysterious disappearance. If you travel with jewelry, it’s a good idea to invest in some sort of case to keep it organized. The best wholesale jewelry organizers make space for all sorts of jewelry, including rings, bracelets, necklaces and earrings. There are styles for every price range as well. A travel jewelry organizer can keep your adornments in one place and tangle-free. Getting a jewelry insurance plan is more than a monetary investment. It protects your jewelry from theft, damage, mysterious disappearance, or loss. 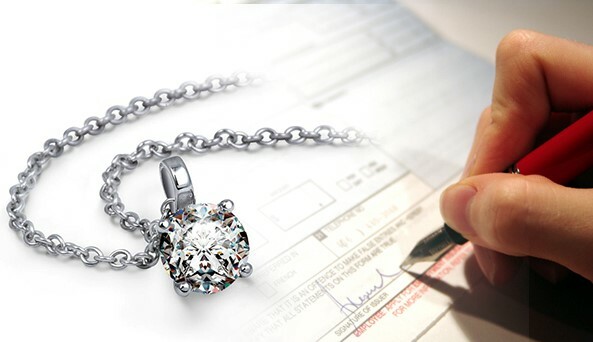 Jewelry insurance plans give you the freedom to bring your jewelries with you on your travels. It gives you the freedom to wear them anywhere and anytime you want. With a jewelry insurance plan, any jewelry you lost or been stolen, the company you’ve dealt with will replace them with the similar jewelry. How to Choose a Jewelry Box? Nile Corp. is already a well-established name in the necklace displays and supplies business since 1995. We offer quality products, unmatched selection, incomparable pricing, and the peerless customer service that you've come to rely on over the years. Because our loyal supporters, we're one of the largest distributors, and wholesalers of jewelry displays and supplies products.